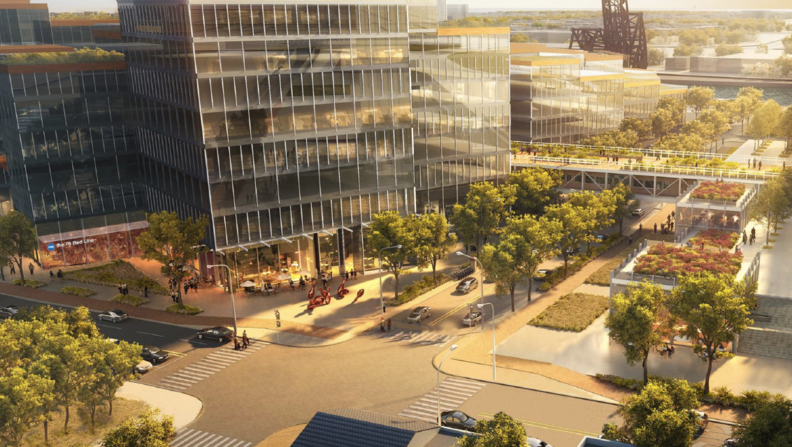 The fate of two proposed tax-increment financing districts that would earmark as much as $2.4 billion in public money to fuel a pair of megadevelopments on the city's North Side and in the South Loop is now in the hands of the Chicago City Council. 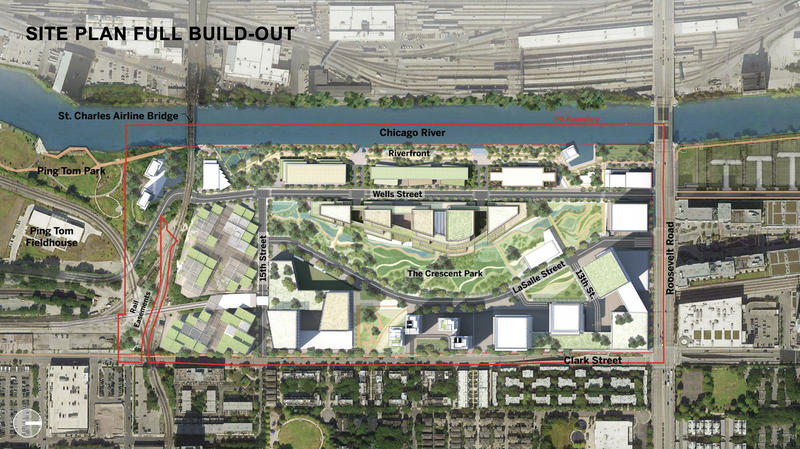 The Chicago Plan Commission today approved the proposed TIF districts, meant to help finance infrastructure projects that would pave the way for developer Sterling Bay's $6 billion Lincoln Yards project along the North Branch of the Chicago River and Related Midwest's $7 billion vision for a mixed-use campus known as the 78 between Roosevelt Road and Chinatown. The OK from the mayor-appointed board clears the way for both proposed TIF districts to potentially go before the City Council's Finance Committee and the full City Council next month. If both are passed, it would grease the skids for the developers to move forward with two of the most ambitious megaprojects in the city's history. In the South Loop, the proposed Roosevelt/Clark TIF for the 78 site could reimburse up to $700 million, with $600 million of that dedicated to public infrastructure projects such as new street grid, bridges and a new CTA Red Line station at the corner of Clark and 15th streets. The TIF budget also estimates as much as $400 million in developer financing costs. Advocates for the homeless community are concerned that a planned street cleaning scheduled for next week at the site of a “Tent City” in the South Loop could lead to the shut down of the encampment, which lies on state-supported property. Attorney Diane O’Connell, of the Chicago Coalition for the Homeless, said she fears that the street cleaning — which comes after a shooting on the property — could be used to force the homeless population out of the grassy embankment along the expressway near the 700 block of West Taylor. Marjani Williams, spokeswoman for the Chicago Department of Sanitation, confirmed that city workers posted signs this week announcing the cleaning. City and state official wouldn’t say whether the homeless population would be pushed out of the area during Monday’s cleaning. 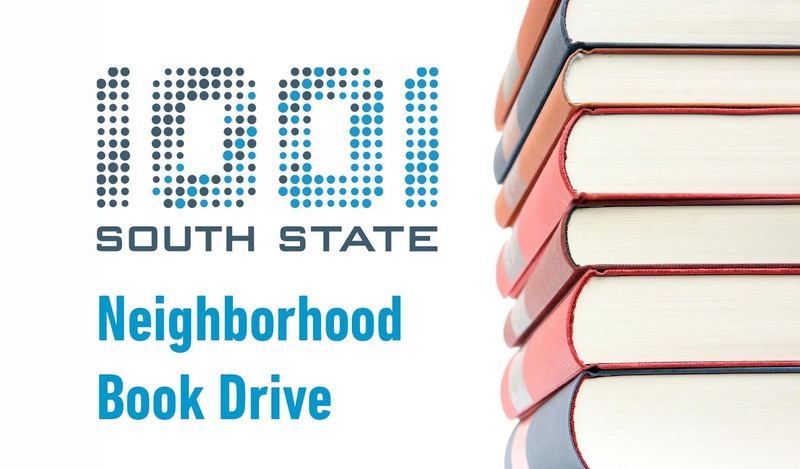 Whether you want to put more positive energy out into the universe or you just finished binge watching a certain Netflix series that has you itching to "tidy up," you won't want to miss 1001 South State's upcoming neighborhood book drive benefiting Open Books. In honor of Read Across America Day, the South Loop property’s book drive runs from Saturday, March 2 through Sunday, March 10. With a mission to provide literacy experiences for tens of thousands of readers each year, Open Books takes the donated books they receive and either gives them away through their literacy and book grant programs or sells them, using the proceeds to fund the organization’s literacy programs. “Our residents include designers, entrepreneurs, art students, and more,” continues Braun. “We want to give back to the community in a way that helps the next generation of creative minds. We know that providing access to books is an effective and exciting way to do that." 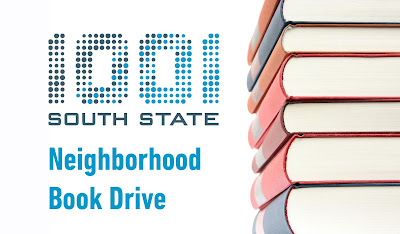 To make your book donation, stop by the 1001 South State lobby anytime between 10 am and 5 pm on March 2 through March 10. The entrance is located at 1001 S. State Street between Bulldog Alehouse and Orangetheory Fitness. Open Books welcomes donations of fiction, nonfiction, craft books, cookbooks, children’s books and more! AbelsonTaylor is moving to Chicago’s former old main post office, giving the advertising agency room to add 100 or more employees. The Chicago-based agency becomes the fourth office tenant to lease space in the 2.8 million-square-foot building that is being redeveloped by 601W Cos. The riverfront behemoth at 433 W. Van Buren St. has been vacant since 1996, but it’s set to reopen as one of Chicago’s largest office buildings later this year. It is now called The Old Post Office. AbelsonTaylor signed a 15-year lease for about 85,000 square feet, president and CEO Dale Taylor said. By March 2020, the agency will move from its current offices at 33 W. Monroe St., he said. The entire building is 2.8 million square feet and with this lease they're now at 407K square feet leased. So there is a lot of room left, although the article says the leasing agents are actively negotiating another 400K square feet of leases. Will be interesting to see what other businesses make the move to the historic building. As the Crain's article notes, this isn't the first time plans like these have been floated. While it would be great to have something cover-up the train tracks and presumably provide more/better access to Soldier Field and the Museum Campus, it seems like a highly challenging project - especially given all the other stuff popping up in the Sloop and city. The article says that Alderman Dowell is planning to present the proposal at a public meeting on March 13th. So we will see how far a long this thing is. Stay tuned. 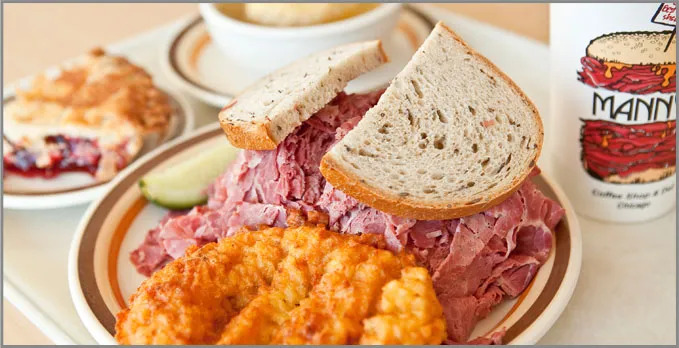 Corned Beef Sandwich: Manny's is the stuff that legends are made of, so folks should sink their teeth into its famous corned beef. Maxwell Street Polish: While hot dogs get all the glory, the Maxwell Street Polish — a kielbasa topped with mustard, grilled onions, and sport peppers — quietly satisfies Chicagoans. The building is almost topped off and it certainly is a looming structure over the neighborhood. How it will look when it's finally done will be interesting. One of our favorite things is the trees on each terrace. We're curious to see if those actually happen. Would be cool to have green elements that high up in the city. The letter notes there is “new leadership the governor’s office” and asserts “new commitment to bipartisanship” supports economic development. 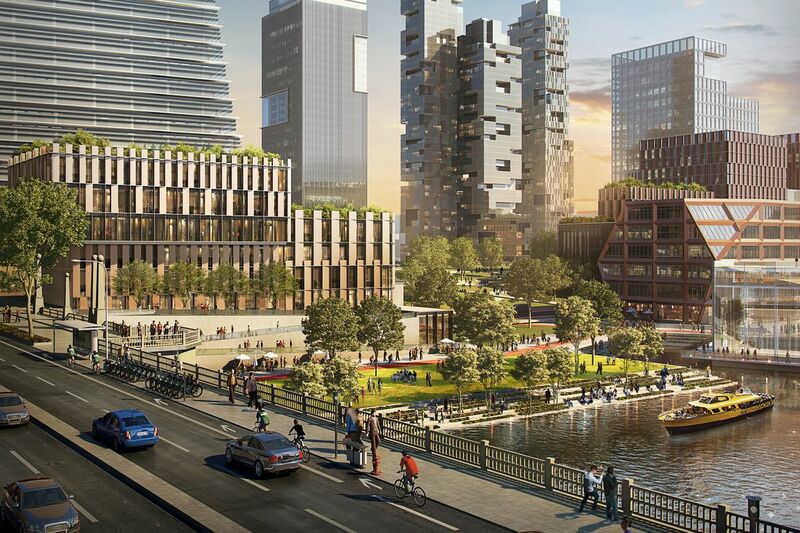 “You have seen firsthand that the Chicago area meets or exceeds your business needs,” the letter states, adding that since Amazon execs visited here last year, zoning and other approvals for its preferred site, the South Loop megaproject known as the 78, at Clark and Roosevelt, has proceeded and that groundbreaking is set “shortly after” final legislative approval in April. Amazon said Thursday it will continue to build offices in Arlington, Va., and Nashville, Tenn. It also plans to continue growing its 17 tech hubs, one of which is in Chicago. Since announcing plans to locate in New York City, the company has received backlash from some New York politicians, who were unhappy with the tax incentives Amazon was promised and the company’s stance on unions. The company already employs more than 12,000 people in Illinois. They work at fulfillment centers, campus pick-up locations, the research and development tech hub, and other sites. Of those employees, about 300 work in the Chicago tech hub. The company doesn’t know yet where the growth that was supposed to happen in New York City will move to, Amazon spokeswoman Jodi Smith said in an email Thursday. “It will be organic,” she wrote. Organic doesn't sound like a company looking to plop 25,000 jobs on a metro. Additionally we imagine that Amazon doesn't want to go through such a controversial public spectacle like the one that unfolded in New York. To be fair, they brought this on themselves, so don't go crying for the richest man on earth and his company that is incredibly valuable company. But...there is a sliver of an opportunity here. We'll see what happens. Chicago’s one-time automotive destination, Motor Row, hasn’t weathered time as well as its counterparts, like the Magnificent Mile or Jewelers Row, and the role the city once played in the American auto industry is also often overlooked. Detroit looms large in the American imagination as the capital of the car manufacturing world, but Motor City and Chicago’s Motor Row were inextricably linked for the first three decades of the 20th century. The automobile shopping corridor on the Near South Side was the industry’s largest and most prominent public face and helped rev up America’s love affair with the car. The article gives a nod to the future, but that's not really the meat of this article. Regardless, it's a good read if you're interested in the history of Michigan Avenue south of Roosevelt. 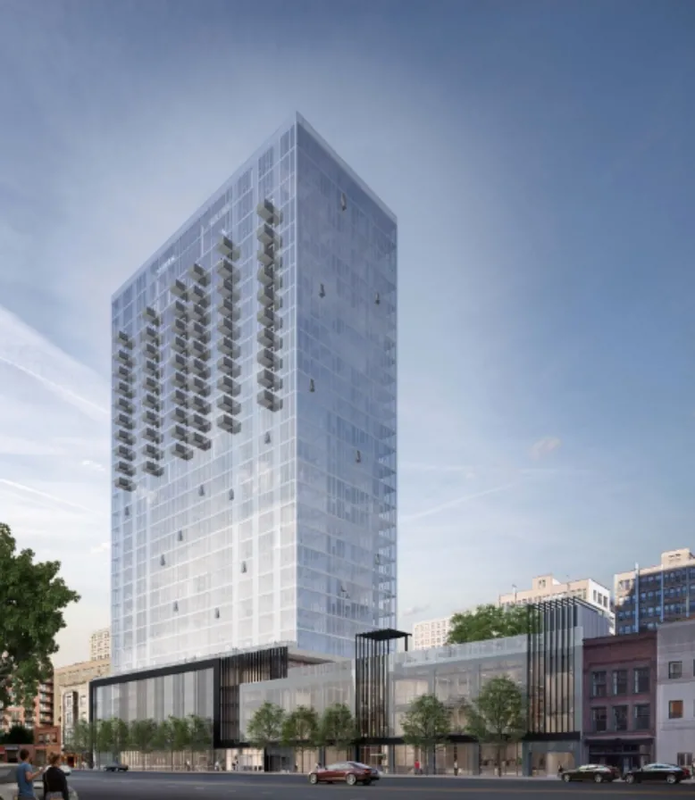 There has been a lot of discussion around the urban mansion being built at the corner of Dearborn and Polk. One thing that was part of the mystery was what (if anything) was coming to the first floor retail space. Just found out Totto’s Market is opening in Dearborn and Polk this spring. My name is Scott Perin. I'm the owner of (soon-to-be-opened) Totto's Market. 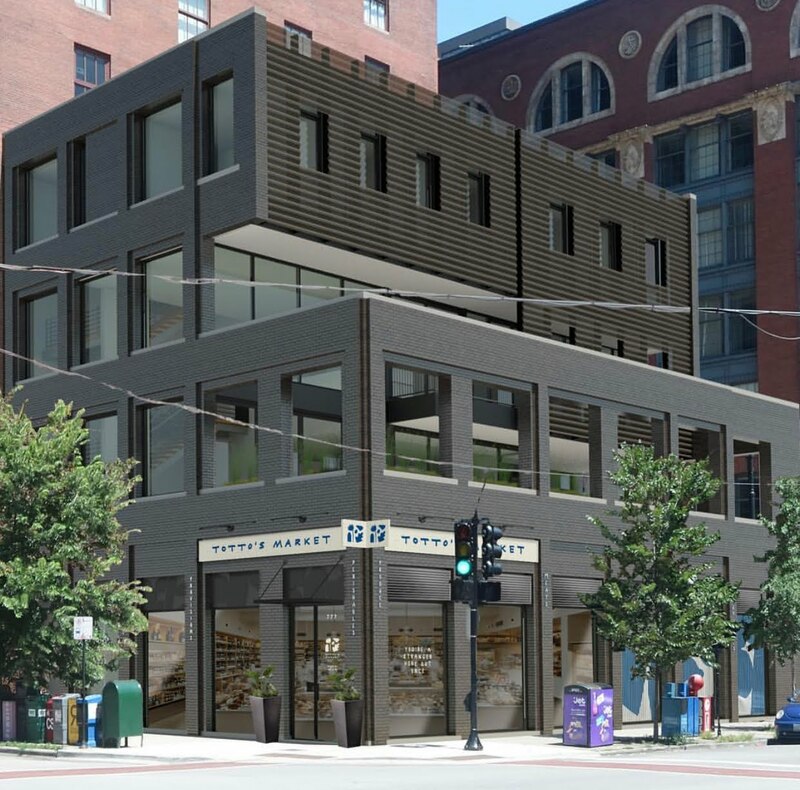 I've lived in Printer's Row for over 14 years and I'm super excited to bring a neighborhood specialty market to the corner of Dearborn + Polk. Totto's Market will focus on prepared meals to-go, as well as fresh produce, local bread/pastry, dairy, frozen, beer/wine, floral, and other surprises for you! 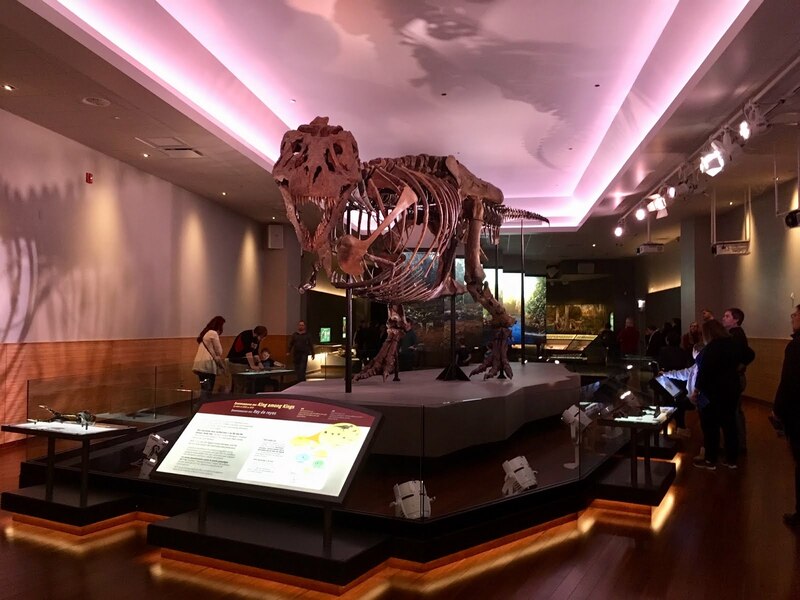 We plan to open in late spring. I invite you to sign up for updates at www.tottosmarket.com. I look forward to welcoming you (and all neighbors) to Totto's! Fun Fact: Totto's is named after my father, Allen "Totto" Perin, who works for a small grocery chain in the northern suburbs. He's worked there for over 60 years!! If done well, this could be a great addition to the neighborhood. Looking to forward to seeing this one. Make sure you scroll through the pics to see a frozen sloop! 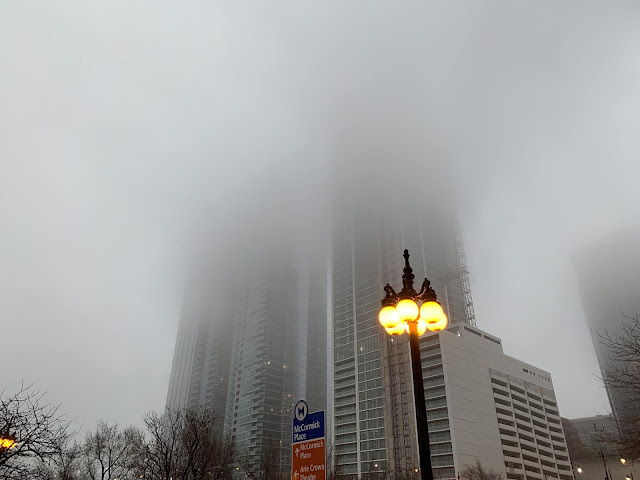 Yesterday it was Hotel Essex, today the Tribune looks at three other high-rises dotting the South Loop skyline. Two of them (Nema and Paragon) are almost done. Another one (1000M) hasn't broken ground yet, but would be a striking addition if it does. You can read the write-ups of each high-rise at the following link. Developers have unveiled new details — and an opening date — for a roughly $250 million project that includes the transformation of the old Essex Inn into a “luxury lifestyle hotel” in the South Loop. 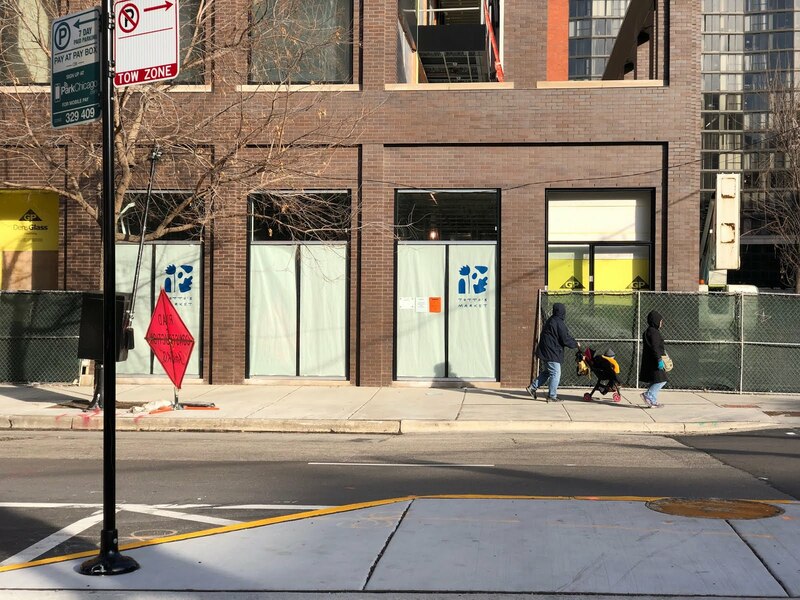 The new Hotel Essex, 800 S. Michigan Ave., is scheduled to start checking in overnight guests April 1, nearly a year after the Essex Inn was shuttered for a gut rehab. The landmark building’s iconic rooftop sign and steel-and-glass facade will remain, but the interior is in the final stages of being transformed into a more upscale hotel that puts a fresh spin on the building’s midcentury modern roots, said John Rutledge, CEO of Chicago-based Oxford Hotels & Resorts, which will manage the property. In an interesting use of shared space, the hotel’s bilevel lounge, SX Sky Bar, occupies the fifth and sixth floors of the adjacent Essex on the Park apartment complex. The lounge’s retractable glass walls showcasing views of the lake can be opened during the warmer months. Hotel guests and the public enter the lounge on the sixth floor, where small plates and craft cocktails will be served at lunch, dinner and in the later hours. A staircase leads down to a “tech-inspired” dance floor and smaller spaces that can be rented for private events. While SX Sky Bar is in the apartment tower, the latter has its own fleet of private amenities — outdoor fire pits and cabanas, an indoor pool, fitness center, lounge areas and more — available only to apartment tenants. SX Sky Bar is designed along the lines of multilevel hangouts that have become popular with both locals and visitors in other Oxford-run hotels in Chicago, such as I|O at The Godfrey and LH at LondonHouse. The skeptical person in us questions whether or not the neighborhood is going to make good use of this. The optimistic person says if you build they will come. We'll have to check back on this once it's officially up and running. A ground-floor area straddling the hotel and apartment building will be the site of the new Grant Park Bistro, a modern French grill from Chicago-based LM Restaurant Group that will serve breakfast, lunch and dinner daily, along with weekend brunch. 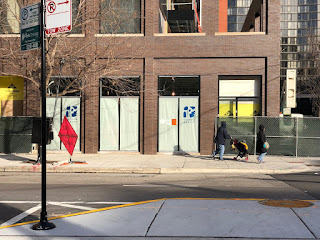 The bistro takes the place of the former Brasserie by LM, which closed in early 2016 after four years at 800 S. Michigan Ave. The bistro’s menu will lean heavily on grilled meats and vegetables, as well as charcuterie and French cheeses. The 40-seat dining room looks into the open kitchen. A 26-seat bar area sits next to a cafe. In the summer, an outdoor patio that can accommodate up to 40 diners will line Michigan Avenue. Call us shocked! When we originally heard about the plans for the hotel and the closure of the restaurant we thought there was no way it was coming back. Fast forward four years and the LM restaurant group is still involved (albeit in a more "upscale" manner). This is pretty exciting for the neighborhood. Hope it lives up to the hype! A candidate seeking to succeed Ald. Danny Solis in the City Council says Solis’ cooperation with federal investigators means the city should pump the brakes on a public subsidy to support a massive project south of the Loop that’s at the top of Mayor Rahm Emanuel’s to-do list before he leaves office. 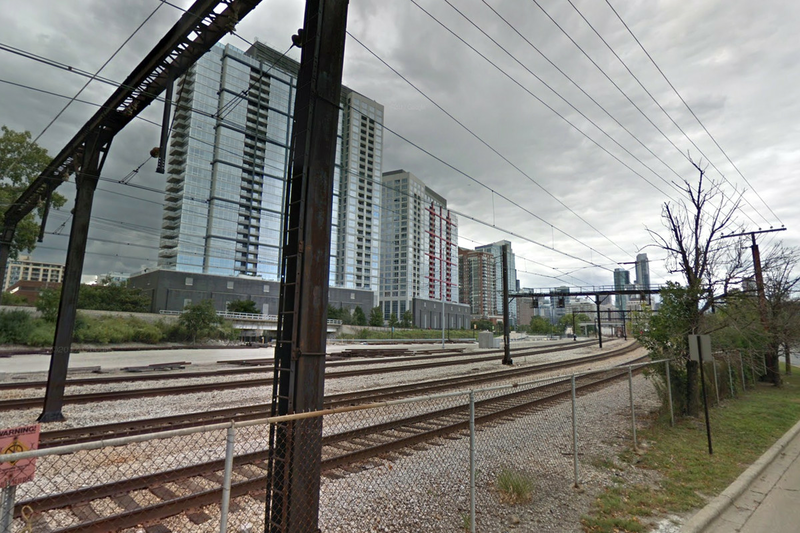 Alex Acevedo said the Community Development Commission shouldn’t vote this week to recommend a tax increment financing district worth up to $700 million for the project dubbed The 78 on a 62-acre former rail yard site on the Chicago River between the South Loop and Chinatown. The land is in Solis’ 25th Ward, and Acevedo said anything Solis touched is tainted in light of reports he secretly recorded conversations with fellow Ald. Edward Burke after federal investigators confronted Solis with evidence of his own alleged misdeeds. The developer aiming to turn 62 acres of vacant South Loop land into a sprawling mixed-use campus is closer to winning the support of one local alderman after relocating its plan for a CTA Red Line station that would serve its project. After 3rd Ward Ald. Pat Dowell rejected Related Midwest's plan last month to put a station at the southeast corner of 15th and Clark streets, the developer presented a revised version last night that moves the station across the street, where it would become a crucial access point for a 13 million-square-foot megadevelopment Related has dubbed "the 78." Under the tweaked plan, Related would build the station on the ground floor of a building it would develop at the southwest corner of Clark and 15th streets. 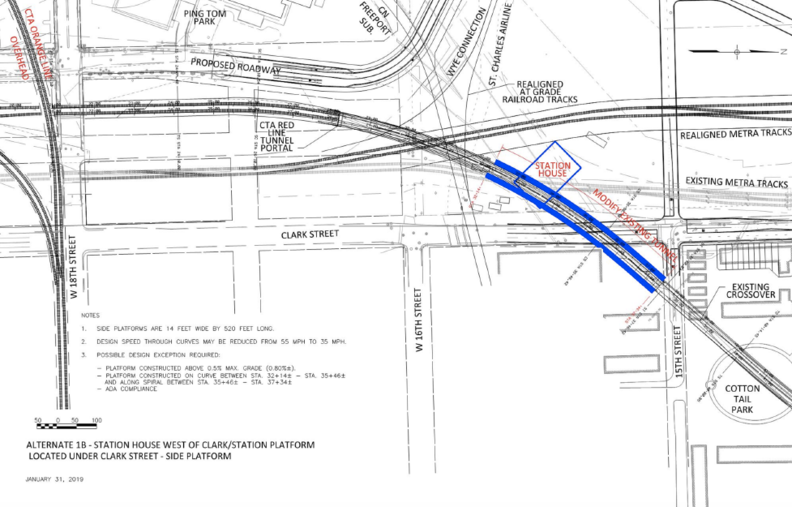 The underground platform for the station would cut diagonally beneath Clark Street, running from the station house northeast to the southern edge of 15th Street, plans show. After the meeting, Dowell stopped short of offering her full support for the new plan but commended Related Midwest for responding well to community feedback. The plan still has a ways to go, but this was definitely a positive development for Related Midwest and this high-profile "78" project. If you're really interested in listening to the community meeting you can head over to Hello South Loop as they streamed it in its entirety on Facebook Live.